A 90-year old window factory at the edge of a commercial district was proposed to be converted into 16 units, totaling 34,00 SF. The building had potential for spectacular loft units as one-story high steel roof trusses span the entire width of the building with continuous clerestory and 12 ft high windows on both sides. 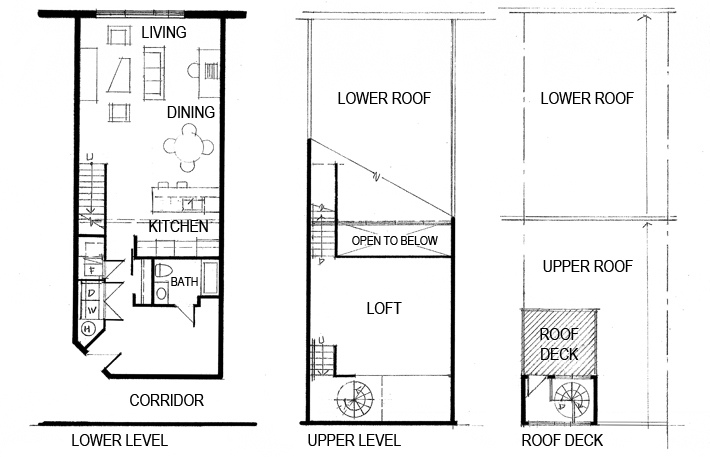 Most units were designed to have private yards or roof deck access to accommodate pets.